I couldn’t fit all my other things into an RV, but apparently my vision is too horrible to exist on the Internet, or the old women who live in such environs don’t own cameras. Horror-dreams of bad taste aside, quilts are actually incredible. Seriously, even the awful, tacky, weird ones are amazing pieces of art/effort/construction/time/dedication. I mean, not the mass-produced, machine-made ones, just specifically the quilts actually created by living people. A grand collection of such quilts are on display annually at QuiltFest, on the side of the GRB that isn’t overwhelmed with ALL THE THINGS to purchase (and electric wheelchairs). The whole event can become incredibly overwhelming, given the sheer volume of possible purchases (I bought so many amazing things! ), but if you’re looking to be overwhelmed by art, creativity and worksladyship, the actual quilts are definitely worth a gander. 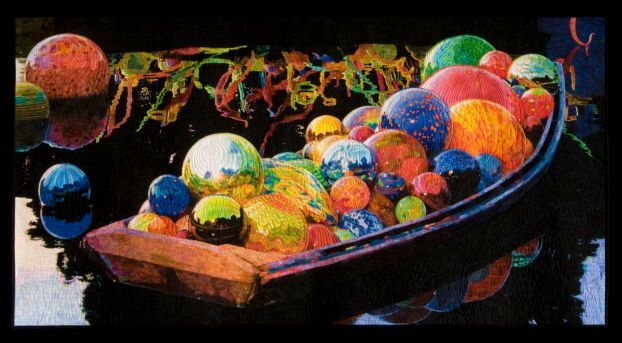 They come from all over the world, include so many different details, perspectives and techniques, and are basically glorious pieces of textile/fabric art. 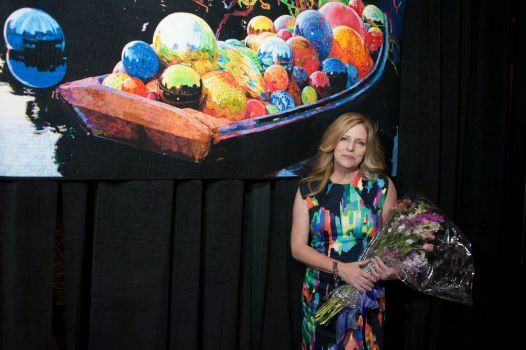 Melissa Sobotka looks so proud! According to this article, the National Museum of Women in the Arts, is opening a quilt exhibit (December 20th-April 27th) in order to showcase 18th-20th century quilts from the Brooklyn Museum’s decorative arts collection. “Workt by Hand” will offer a glimpse of “classic” quilting patterns/styles, while simultaneously emphasizing the amazing women who have, for centuries, honed this skill into a true art form. I was fortunate enough, on my second visit to Washington, D.C., to spend some time in the NMWA, and had an absolutely delightful experience! I love museums (most of them anyway), but had never really contemplated how much of that art has been created by/through the “male gaze,” and to view an entire museum collection consisting of artwork created by my female counterparts felt incredible, and comforting. The art spans time periods, artistic styles, mediums, and cultures, plus the architecture and presentation are fabulous! If you have the opportunity, you should absolutely pay them a visit! More about quilts to come soon, so look forward to it! Have you made a quilt? What pattern/style did you use? 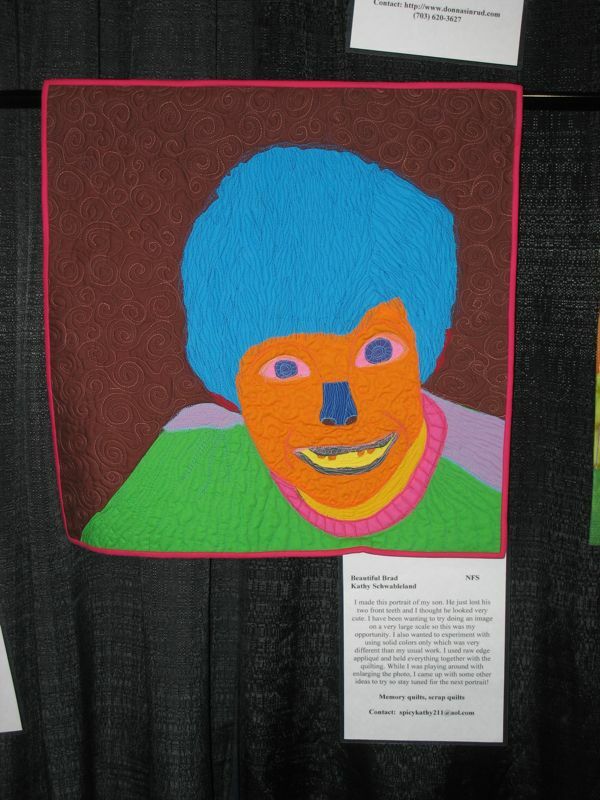 Have you been to the Quilt Festival? Any specific memories/quilts/purchases?? ArtBrooklyn MuseumCraftsFiber artHoustonNational Museum of Women in the ArtsQuiltQuilt artWashington D.C.